Are you searching for healthy recipes? Seeking something new for the home menu? Mayo Clinic is launching a series of easy, healthy recipes created by the executive wellness chef and registered dietitians at the Mayo Clinic Healthy Living Program. Each Thursday one of the 100+ tasty video recipes will be featured on the Mayo Clinic News Network, just in time for you to try at the weekend. You can also have the recipes delivered via the Mayo Clinic App. 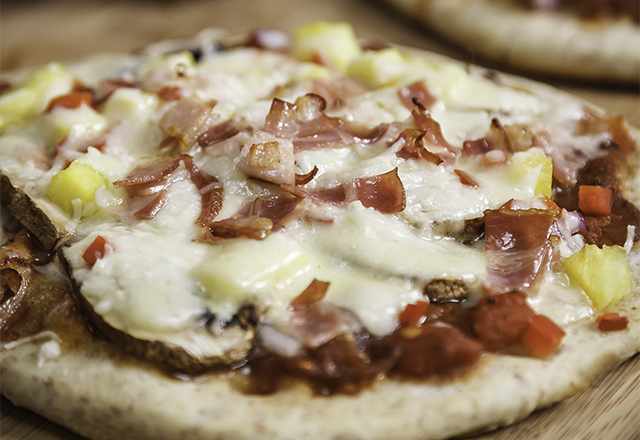 It only takes 30 minutes to make this whole-wheat pita pizza, topped with mushrooms, pineapple, bell peppers, feta cheese and bacon bits. You can double the batch and place uncooked prepared pizzas in the freezer.